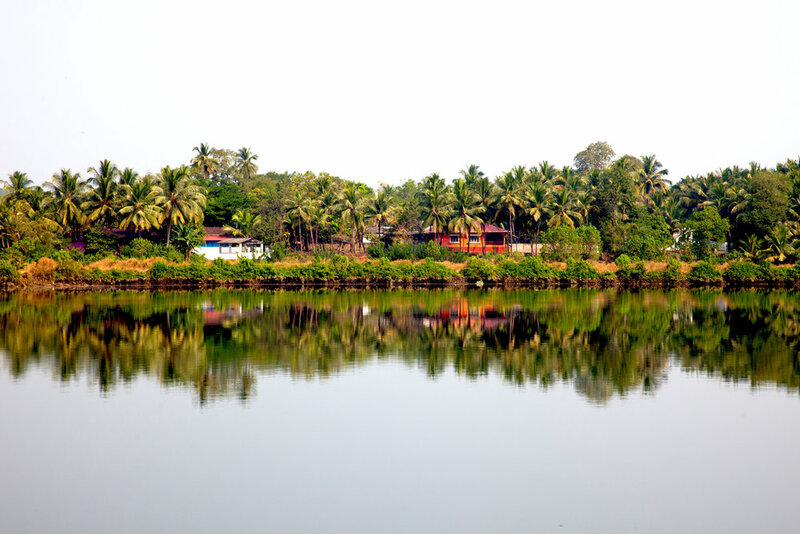 Join Amanda and Marc this October, on a pilgrimage to the green, serene sanctuary of Kerala. If you have ever dreamed of experiencing Mother India, or if you dream of real soul connection and feeling totally At Home in yourself, this is for you. Over the week, we immerse in inspiring yoga and meditation classes and informative workshops, healing massage treatments, guided writing reflection and nourishing organic, vegetarian meals. This potent combination (plus being on the sacred land of South India) results in a week of full body healing and balance between the heart and mind. Our daily practises,treatments, meals and adventures all relate to the experience of Living Yoga. From day one, you will have a private consultation with the ayurvedic doctor, you will get to understand your unique dosha on a deep level and through our yoga practice we tend to the earth element, focus on grounding Vata and balancing the root chakra. With each day, we flow through the elements of water, fire, air, sound and light; their related chakras and doshas. These powerful yoga, meditation and writing practises are coupled with daily massage and healing treatments plus time to unwind in nature. Three nourishing meals are served a day, made with lots of love, according to ayurvedic guidelines. All rooms are twin share, please enquire below if you wish to have a private room for an additional charge. Our retreat is located in Kochi, where every building whispers a tale from the past, there will be time and opportunity to explore the narrow winding markets streets and together we will visit beautiful local temples and landscapes. This year, we are also offering an additional pilgrimage to the North of India in the week following our retreat in Kerala. This Insight Tour is a partnership with Amanda’s Karma Collab initiative, dedicated to the education of girls This is a volunteer trip designed to give you a real insight into the lives of thee inspired girls. To get involved, click here. Check in time is 3pm on the 5 October . You may arrive early, but we cannot guarantee that your room will be available until noon. Check out time is 11:00 am on the 11th.